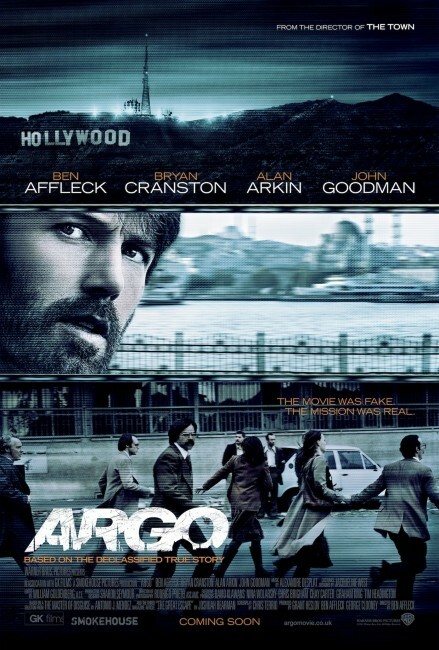 Ben Affleck’s third feature film as a director, Argo is flawless, a film with the lot: gut-wrenching suspense, wicked humour, an underlying incredible true story, excellent performances, exotic locales, and two essential milieus – Hollywood and covert government action – that are simultaneously satirized and highly celebrated. It’s a stunning achievement – a masterpiece – and Affleck will be nominated for a directing Oscar this year, and, thus far, may well end up winning it. It would be deserved. There wasn’t a single minute in this entire thrilling film where I wasn’t one hundred percent entertained. When the American embassy fell in Iran in 1979, beginning the long hostage crisis, a secondary drama played itself out behind closed doors: six of the embassy’s staff escaped and took hidden refuge in the house of the Canadian Prime Minister. When that man was recalled by his government as the crisis made no signs of ending, the CIA had to get those six individuals out, and they did it with a plan so audacious that if it wasn’t a true story you’d never believe it. 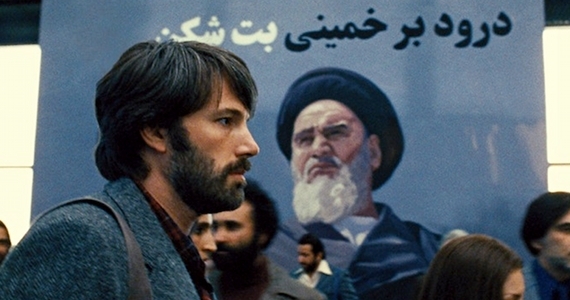 Affleck shot the film for around $US44 million and substituted Los Angeles for Tehran, but you’d never know it – it feels like a massive movie filmed on location, so all credit to production designer Sharon Seymour, who will be nominated for an Oscar and completely deserves one. There are so many good performances it seems churlish to single any out, but Alan Arkin once again proves he is simply in possession of one of the greatest, and funniest, presences in cinema today. The whole thing is paced like a whip, and the third act may literally be the most suspenseful piece of film I’ve ever seen – and yes, I have seen Rear Window. Recommended without any reservation for every and any cinemagoer, I only urge that you see it immediately, as the less you know about the story, the more astonishing your experience will be. Best film of the year thus far. Woody Allen’s latest film is simply terrible. Horrendously, lazily scripted, it is a complete, laugh-free disaster from beginning to end. Once the world’s greatest writer of comic dialogue, Allen, admittedly in his dotage, seems to have lost his touch in a supreme way. 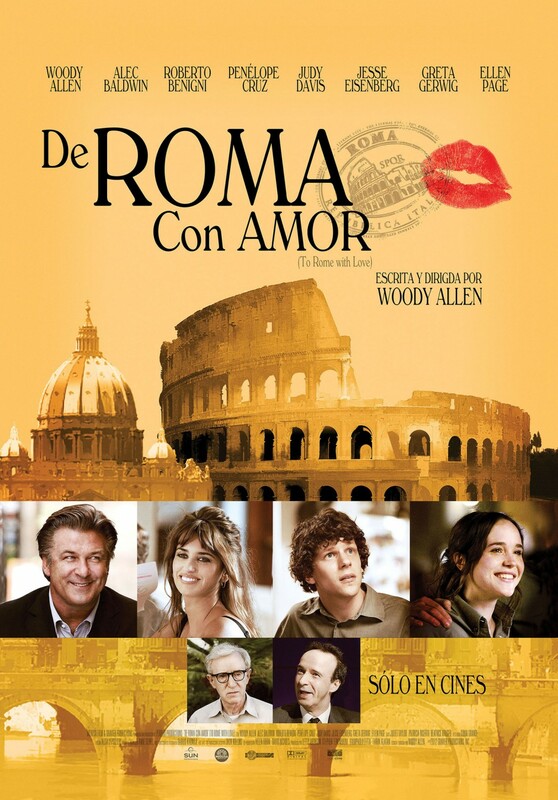 The dialogue in To Rome With Love is atrocious, and it is painful to watch such great actors as Alec Baldwin, Jesse Eisenberg, Ellen Page, Penelope Cruz, Judy Davis and Roberto Benigni attempt their way through it. Allen gives himself a role – and quite a big one – and this is yet another terrible mistake: he simply seems to have lost the ability to act for the screen, overplaying all his scenes like your drunken uncle – your worst drunken uncle. To suggest there was a plot would be to give this film far too much credit. Suffice to say, there are four “stories”, linked by the fact that they all take place in Rome. None of them are funny, interesting or in the slightest way connected to how real people exist. Rome is shot in a panoply of sunny moments that would make a tourism commercial director commit career suicide in shame; they completely suggest Allen is now being funded by whatever European city he’s shooting in: watch out for Prague is for Paulina, Berlin Rhapsody, and For the Love of Latvia. The blocking is atrocious (witness the “rainy Colosseum” scene), the editing horrendous, and even the costumes, makeup and hairstyles are awful: it’s as if Allen didn’t show up to any pre-production meetings, the editing room, and perhaps even the set. It is unbelievably sad to watch your hero in such poor form; Allen is – or once was – my hero, but this movie, I’m afraid, is a lazy, boring, terrible piece of work. Avoid at all costs to avoid soul-destroying disappointment. Two good films, but both acquired tastes.